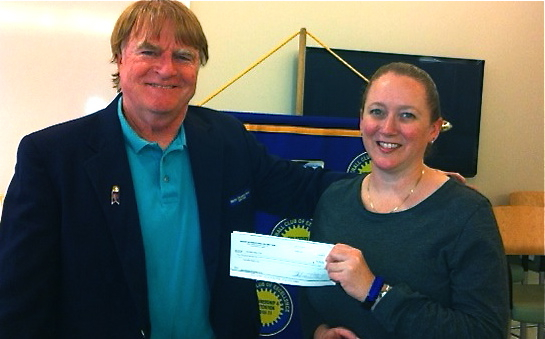 Past District President Chuck Andreson presented a grant check to Lawndale Rotary for our work with local schools. Our speaker this week was Joe McMahon of Comm-Insights.com, a video production company. He spoke about the key to good communication and provided a couple of tips on inspiration and motivation.